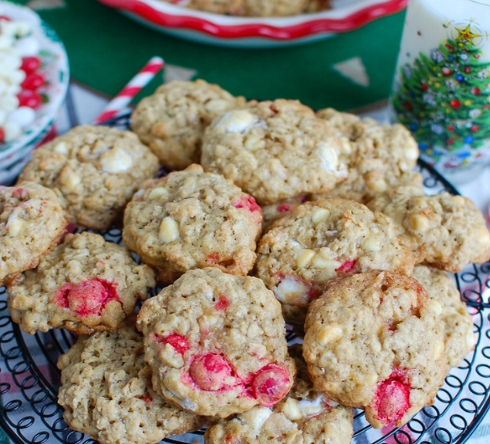 Ohio food blogger A Cedar Spoon's Oatmeal White Chocolate Peppermint Cookies are full of holiday sweetness. These cookies mix together oats with white chocolate chips, peppermint M&Ms and crushed cane along with peppermint extract. Santa is going to love these cookies! In a large mixing bowl stir together the baking soda, salt and flour and set aside. In a large mixing bowl, beat together butter and sugars until creamy. Add eggs, vanilla and peppermint extract, continue to beat well until everything is mixed together. Add the flour mixture until combined. Add the oats on low and mix together. Add the M & Ms, chocolate chips and candy cane pieces and gently stir together. Drop dough by rounded tablespoons onto a nonstick cookie sheet. Bake 10-12 minutes (11 for me) or until the edges are golden brown. Remove from the oven and cool. Store in airtight container. Feel free to mix up the candy as you like. I really enjoyed the white chocolate peppermint M&Ms but they also make a wide variety of holiday M&Ms. 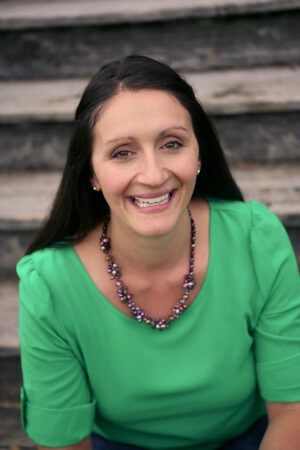 Julia is a mom of three growing boys who creates a mix of seasonal recipes from scratch (whenever possible) on her blog, A Cedar Spoon. A Cedar Spoon is the result of her passions, great food from great ingredients, a worldly curiosity from her various travels and the inspiration of her Mom and their Mediterranean roots.